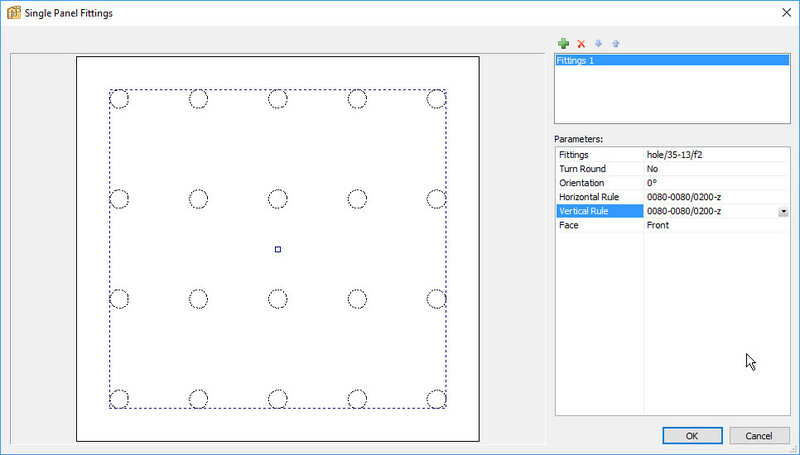 In v6 you can array machining by applying single panel fitting and rules vertically and horizontally. 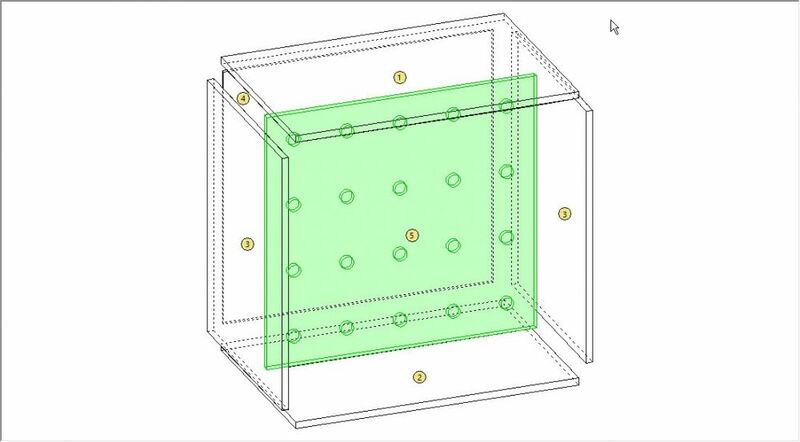 – going to Libraries>Single panel fitting and setting up a fitting that contains the machined shape. -selecting the panel and going to Structure>Single panel fittings and applying the fitting and rules. Note that the machining is considered “hardware” and will not show up in the edit window until you explode the view. Looking at designing a wine rack approx size 1050 x 400 with multipan openings, these openings would be approx 100 x 100 with rounded corners.